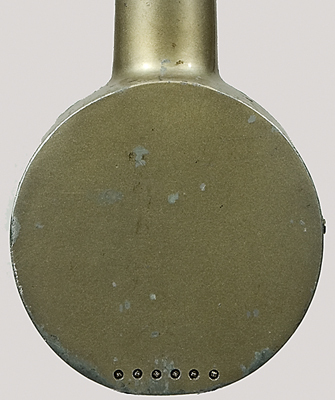 NMM 5917. Electric lap-steel guitar by Electro String Instrument Company, ca. 1935-1939. Model A-22. Serial no. B232. 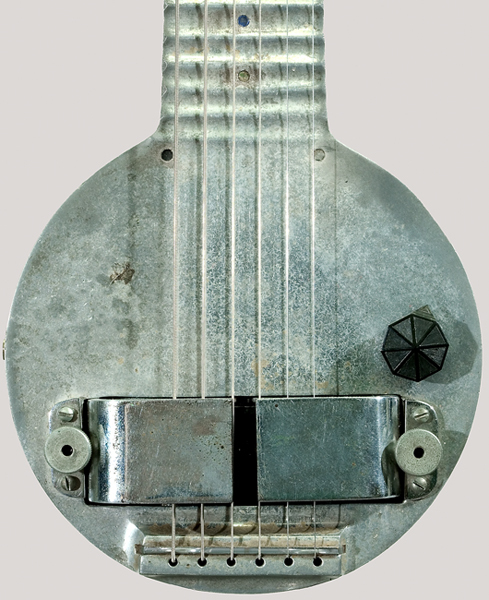 Often cited as the first commercially produced electric guitar, the so-called "frying-pan" electric lap-steel guitar (model A-22), was also known as the "panhandle," "pancake," or "Electro Hawaiian model." 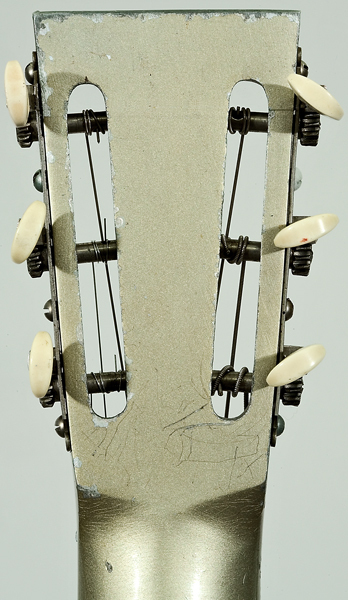 The body, made of cast aluminum by the Aluminum Alloy Casting Company, is covered with a "lacquer wash," remnants of which can be seen on the fingerboard and back. The Electro String Instrument Company, founded by Adolph Rickenbacker (1892-1976), was responsible for the electric pickup—a pair of horseshoe-shaped magnets surrounding a coil of wire which itself surrounds six individual magnets (one at each string). This pickup was designed by George Beauchamp, Rickenbacker's partner, who filed a patent application for his invention on June 2, 1934. The patent was awarded three years later, on August 10, 1937 (#2,089,171). 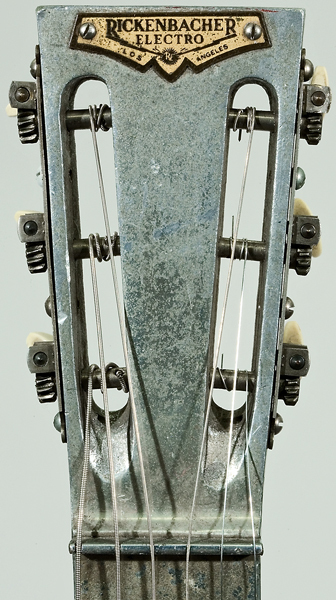 Inscriptions: On a metal nameplate screwed to upper end of front of headstock: RICKENBACHER / ELECTRO / RE [in flaming circle] / LOS ANGELES. Adolphe Rickenbacher changed the spelling of his name to Rickenbacker, in honor of his distant relationship with the W.W. I flying ace, Eddie Rickenbacker. 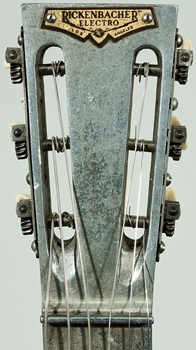 Although company literature and advertising spelled his name with a "k," the headstock nameplates, such as the one on this instrument, used the original spelling, with an "h," until the 1950s. Lit. : Timothy D. Miller, The Origins and Development of the Pedal Steel Guitar, M.M. Thesis (Vermillion: University of South Dakota, 2007), p. 31. "Instrumental Innovations," Wall Street Journal, December 7, 2007, p. W4.